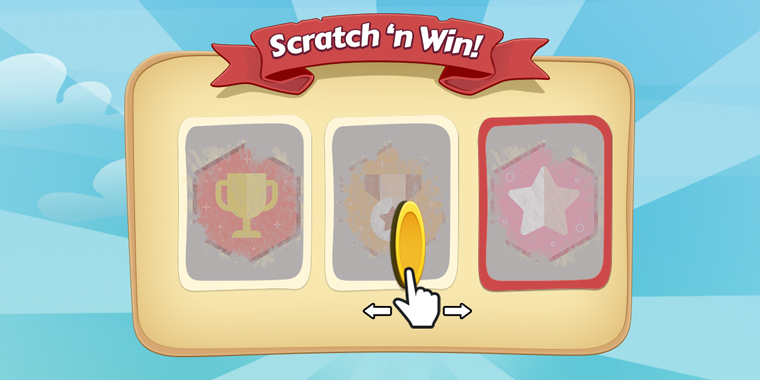 How Can Scratch Cards Help Gamify Your E-Learning Courses? Looking for creative ways to engage learners using gamification techniques? 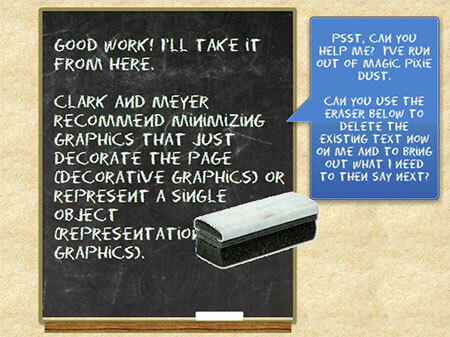 Scratch cards just might uncover the inspiration you need to grab learners’ attention and pull them into the course. Here’s an example that combines a drag-over, custom states, and variables to count the number of times the coin is dragged over the scratch area. Each time the learner drags the coin across a scratch area, the object displays a more transparent version until it eventually reveals the hidden icon. This example uses the same drag-over effect to reveal a hidden text object. 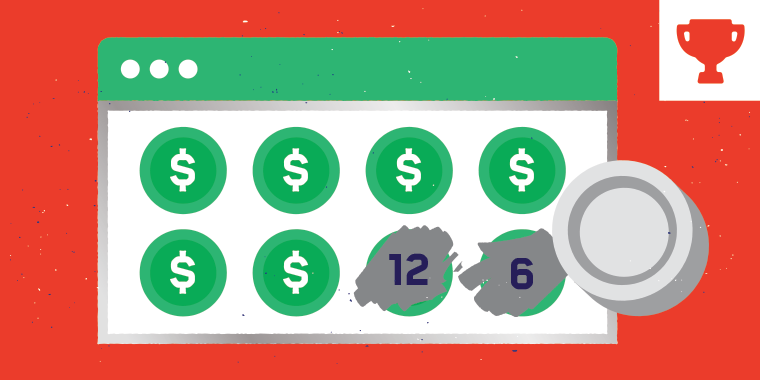 It’s a simple demo, but it’s a good one to learn the basics of the scratch-off effect. This week, your challenge is to design a scratch-off game. You can rework one of the files above, or create your game card from, well, scratch. 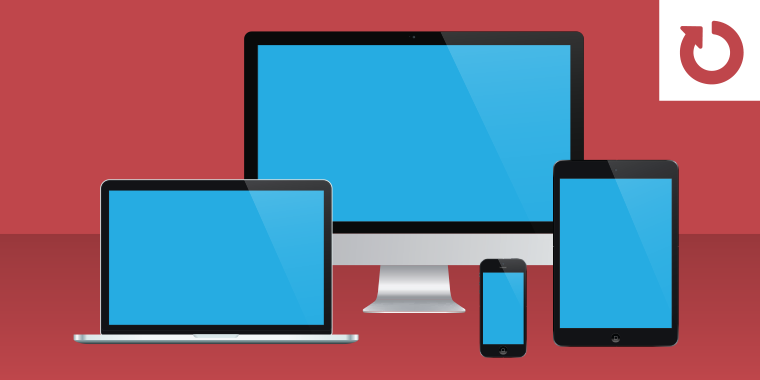 There are two components to this week’s challenge: technical and visual. The technical component requires a good understanding of advanced triggers and variables. The visual component is all about coming up with a fun design for your scratch-off card. Bonus points for anyone who shares their source files this week. Scratch-off games are a lot of fun and I know your fellow community members would really appreciate seeing how you built your projects. Multiple choice questions. Cover the correct and incorrect feedback icons. Randomize the choices. How can you randomize the objects below the scratch area so learners see different choices each time they play? Results slides. Create anticipation by hiding the results of a quiz or course to let the learner scratch off the cover to view their results. QR Codes. 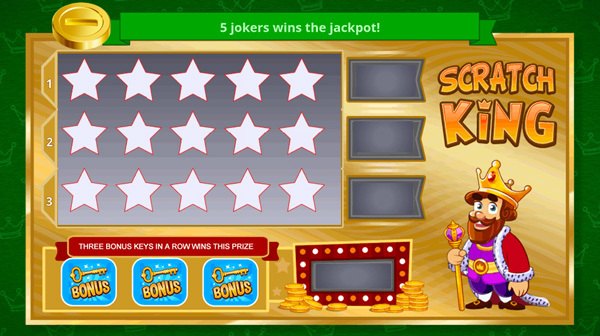 How could hidden QR codes be used in scratch card e-learning games? Wishing you a scratch-tastic week, E-Learning Heroes! Wow! I like the idea and realisation. Hi Bill, I really like the concept of this murder investigation and dusting for prints. Execution was really good and smooth. And I love a good Hollywood Art Deco font! - good style. A small suggestion - on the layer when the fingerprints come up, remind the learner that they should click on them to file the evidence (I skimmed over that instruction on the first page and had to go back to all of them). Thanks for the kind words! This was definitely in need of some fine tuning, so I love the feedback. No problem, Bill, and likewise. Pls check mine out (below) and let me know how it works. Hi Katarzyna, This was fun to play and it displayed well on my smartphone. I was a bit surprised when the "boom" came, but, hey, that's what happens when you hit a mine! ;) Good job with the introduction too! That's cool Kasia. Minesweeper was so simple but engaging and I remember beating another time records on different levels. Hi Katarzyna, Great minesweeper interaction. I had to be careful once I realized that you could potentially scratch a couple of squares at one time. Well done. Thank you everyone for the encouraging feedback. Hi Meaghan, I like how you applied this to meet your swim class. I'm interested to see where it goes. The interaction works well. A suggestion to consider: on the game board, leave some gaps between the squares so it's easier to navigate the coin past them (to the left side of the card) and/or make the coin smaller. Thanks Brenda. I will make the adjustment. Hi folks, Please use your spark of creativity to find mystery words that make "The quick brown fox..." a more interesting sentence. http://elhchallenges.s3.amazonaws.com/125%20-%20ELH%20Scratch%20-%20The%20Quick%20Brown%20Fox%20-%20Storyline%20output/story.index.html Feedback much appreciated...please be picky..it's helpful! I'll post the file shortly. Hi Nick, I really liked the audio and humorous disclaimer on the reverse of this scratch card. Also the scratch effect was neat (the different orientations of scratches) and the hand with coin changing states. Just one small observation - I could only scratch the items from left to right (so was a bit confused when I started scratching the right one first and nothing happened.) Well done! Cool example, Dan! I just added it to our recap: https://community.articulate.com/articles/interactive-scratch-cards-for-elearning#DanGraham Thanks for sharing your source file! Folks will really appreciate peeking behind the curtain on this one. Hi everyone! Just a quick note to let you know the recap for this week's challenge is current. A number of entries in this challenge are no longer working because they were hosted on either Google Drive or Dropbox. I'm happy to host your files for you until you have a new hosting plan. You can send me your files by using our Dropbox file share: http://bit.ly/ELHChallenge When you upload your files, please include your first and last name and challenge number in the file name: DavidAnderson_122.zip Thanks! Hi K, that was so great! I use Chrome and the scratch off cards seemed to work just fine. Well done! Thanks very much for taking the time to feedback Veronica. Glad you liked it. I'm aiming to get more involved in the challenges!